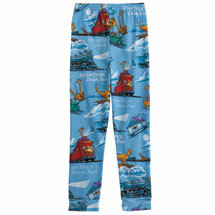 A cuddly companion based on a character from the bedtime book "Steam Train, Dream Train." 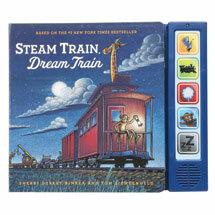 From Sherri Duskey Rinker and Tom Lichtenheld, creators of the New York Times bestseller "Goodnight, Goodnight, Construction Site," "Steam Train" is the rhyming tale of a train whose crew and passengers are animals, including a giraffe who boards at the Night Falls station. 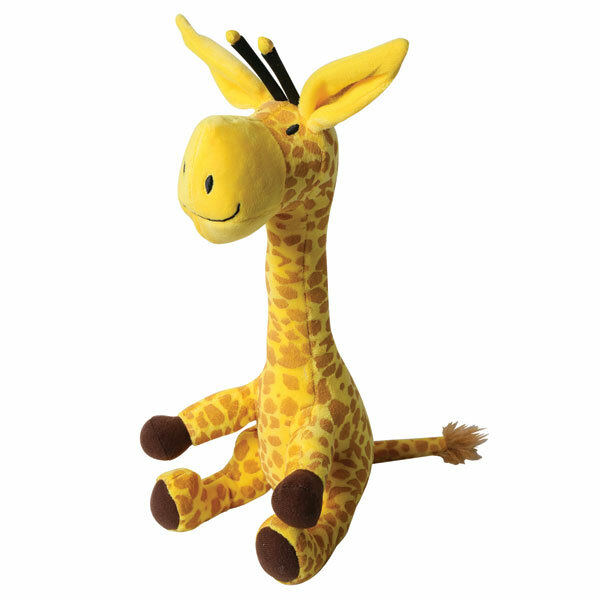 Super-soft giraffe plush has a long neck, open arms, perky ears and a happy smile. 14" high. All ages.